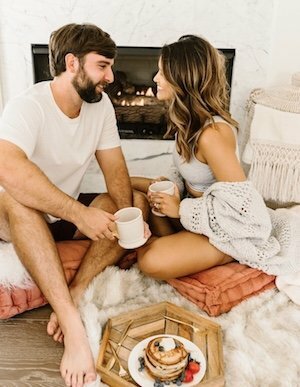 Hi everyone, I hope you all had a nice weekend. 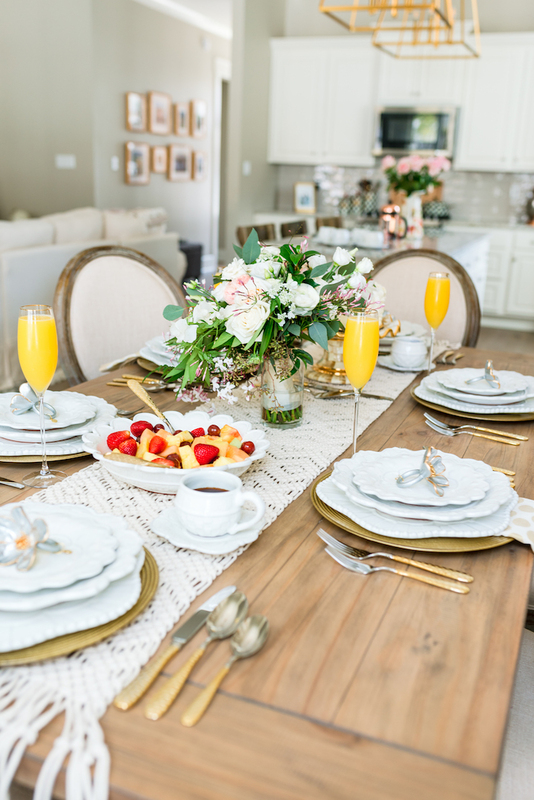 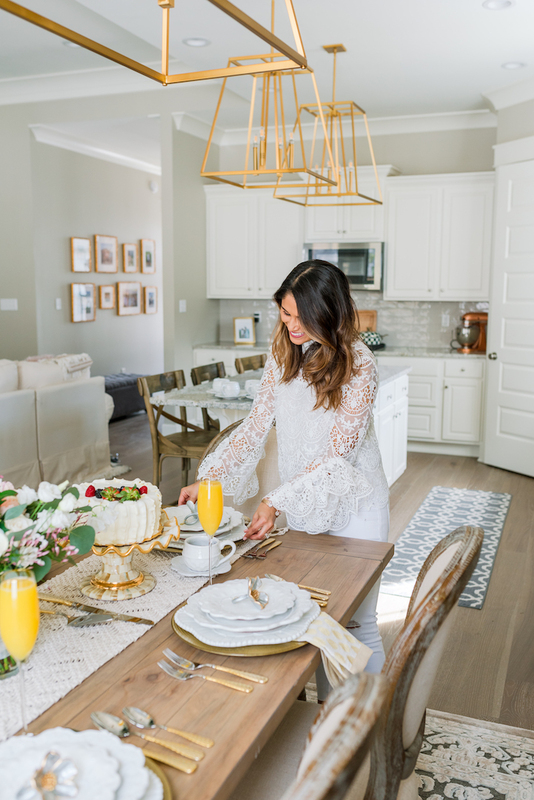 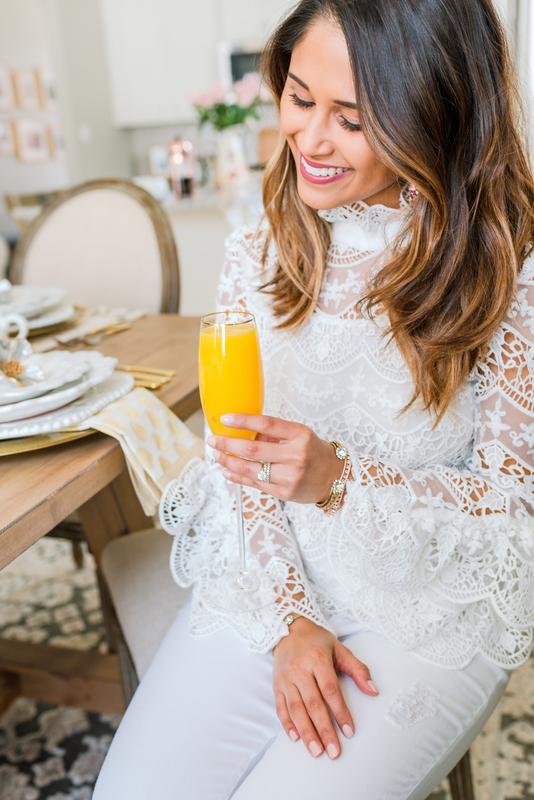 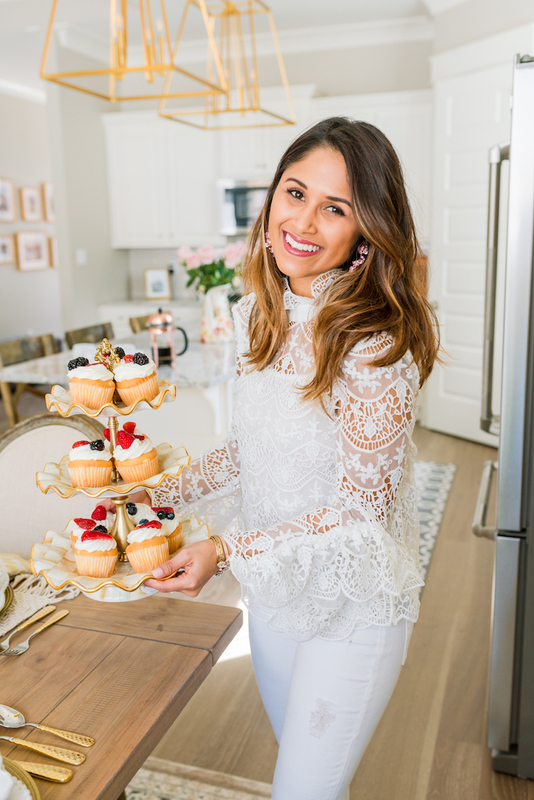 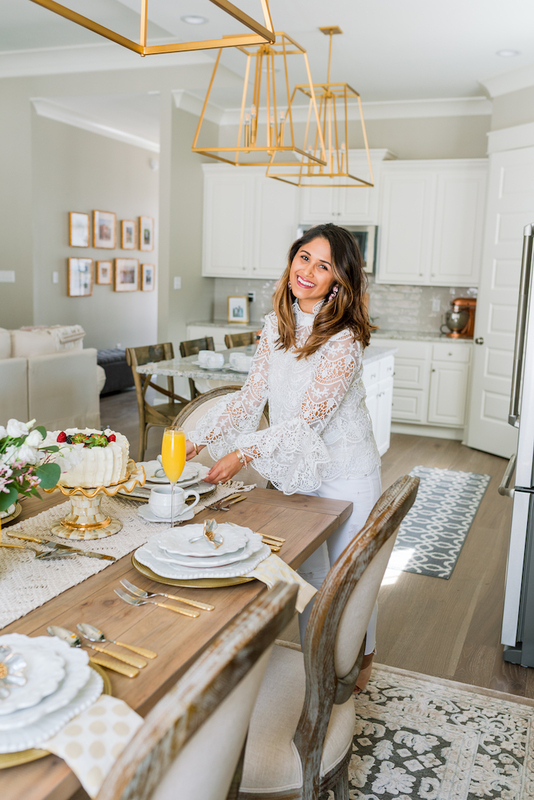 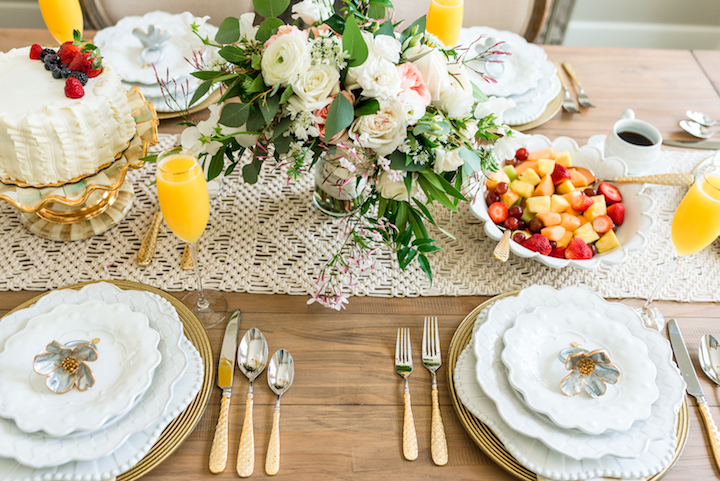 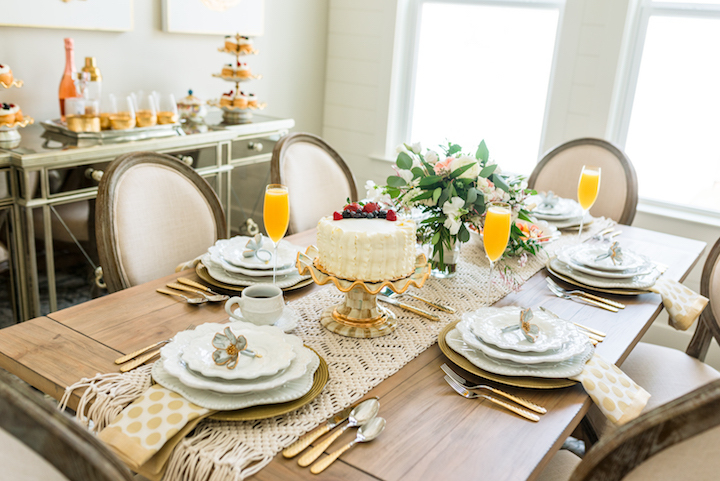 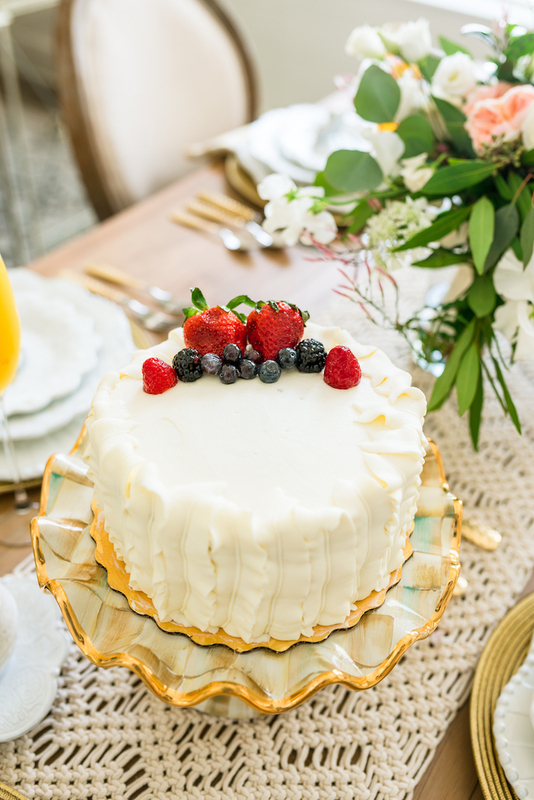 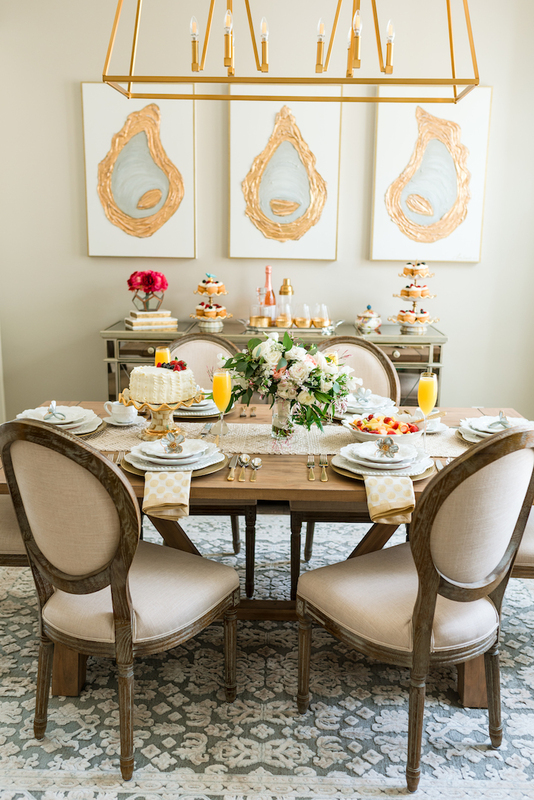 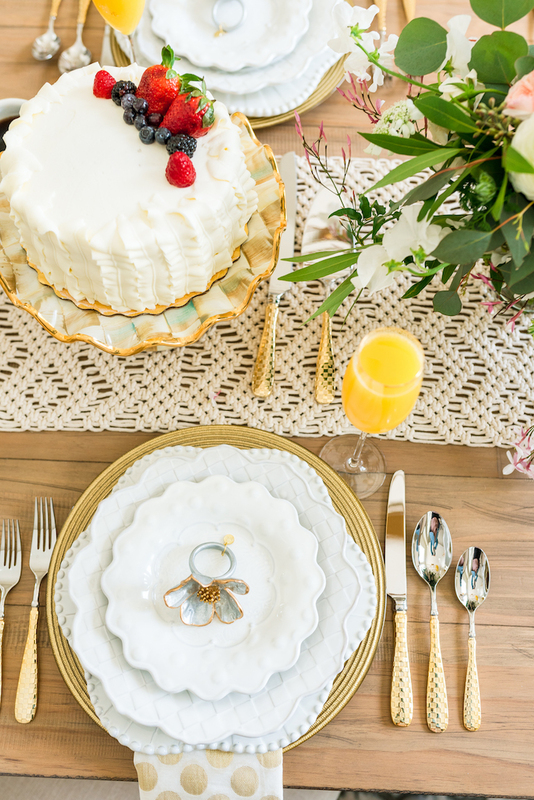 As promised, today I’m sharing photos from my at-home bridal brunch featuring MacKenzie-Childs’ latest collection, Sweetbriar! 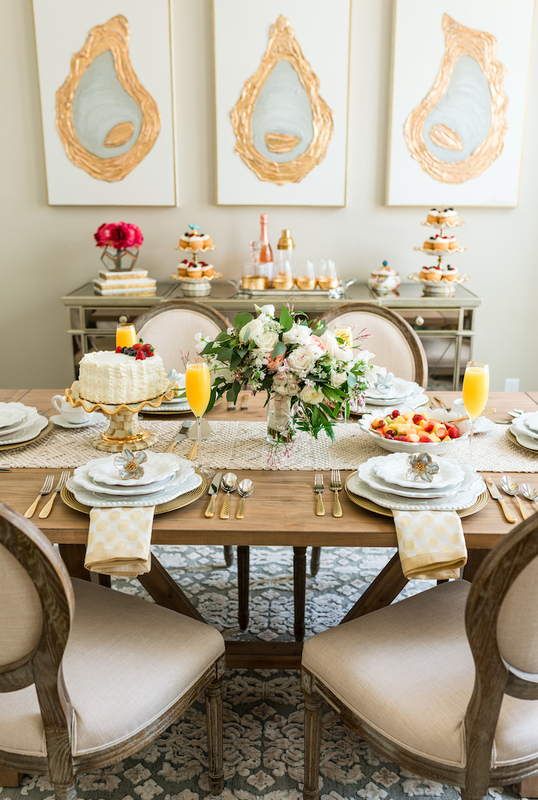 Tomorrow I’ll post photos and details from my bridesmaids luncheon/cooking class at Simplee Gourmet so you can see the collection in action. 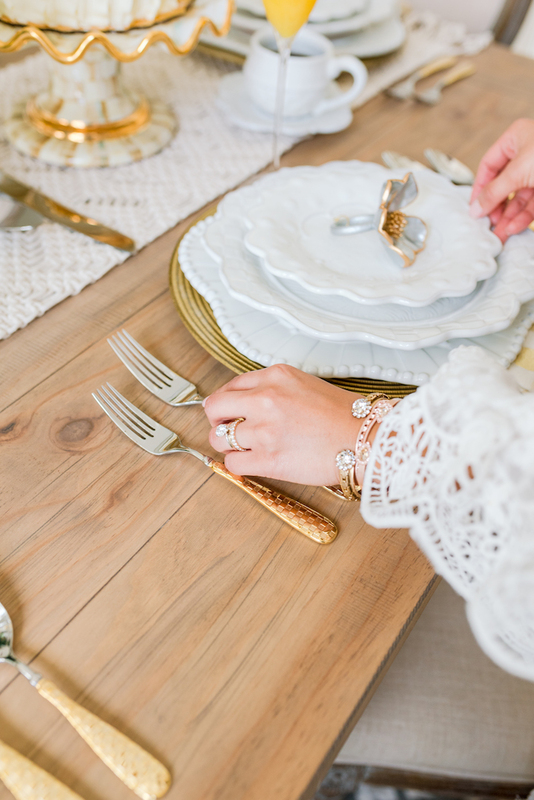 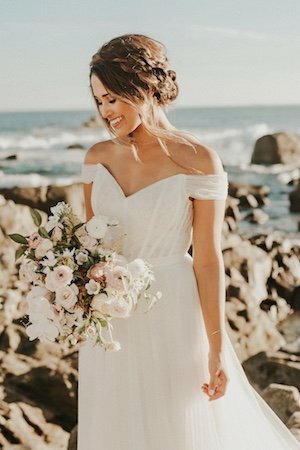 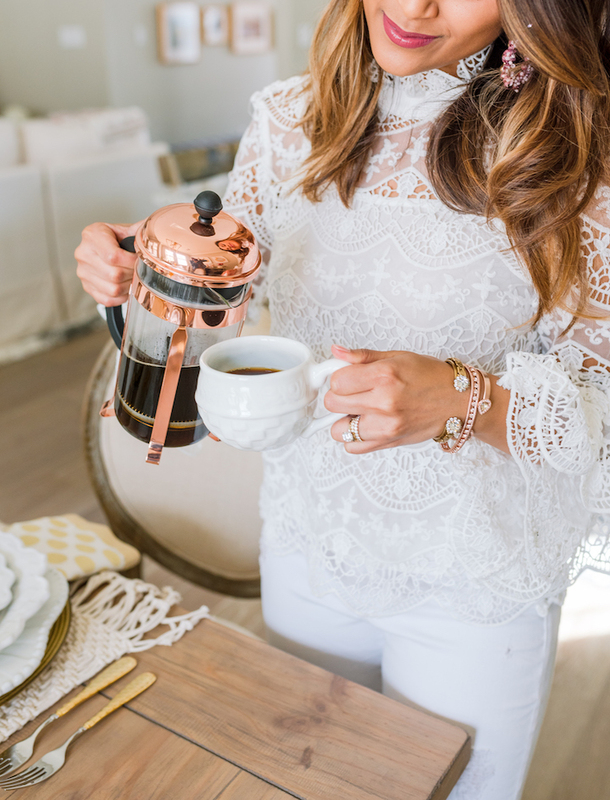 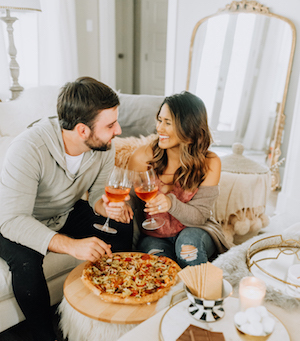 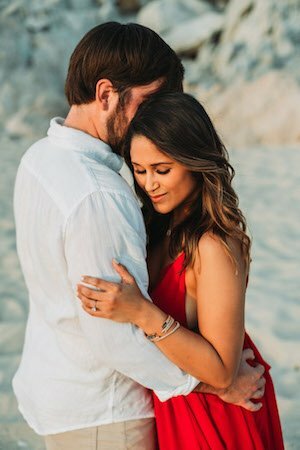 In case you missed my sneak peeks on Instagram, the collection is absolutely stunning and perfect all of you brides-to-be looking for a neutral dinnerware set to add to your registry. 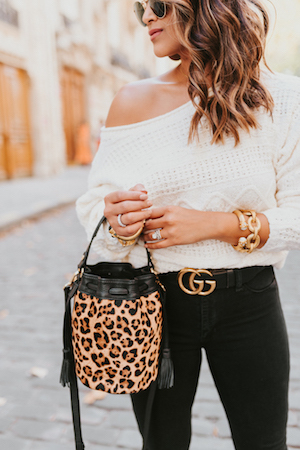 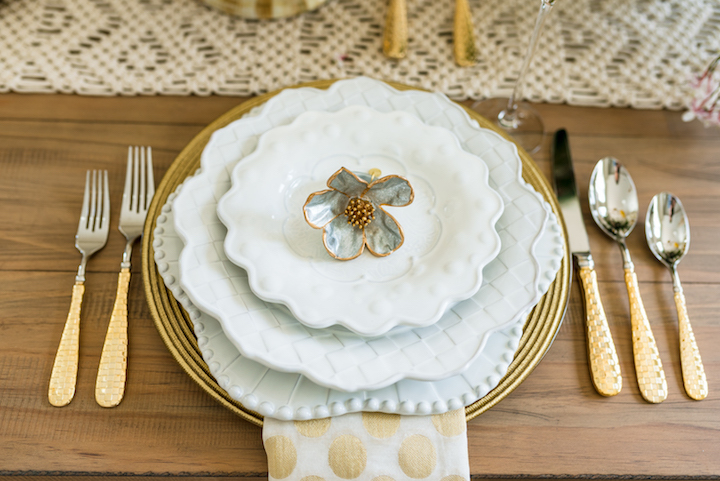 These ivory textured pieces are great for mixing and matching with other MacKenzie-Childs patterns that you already own. 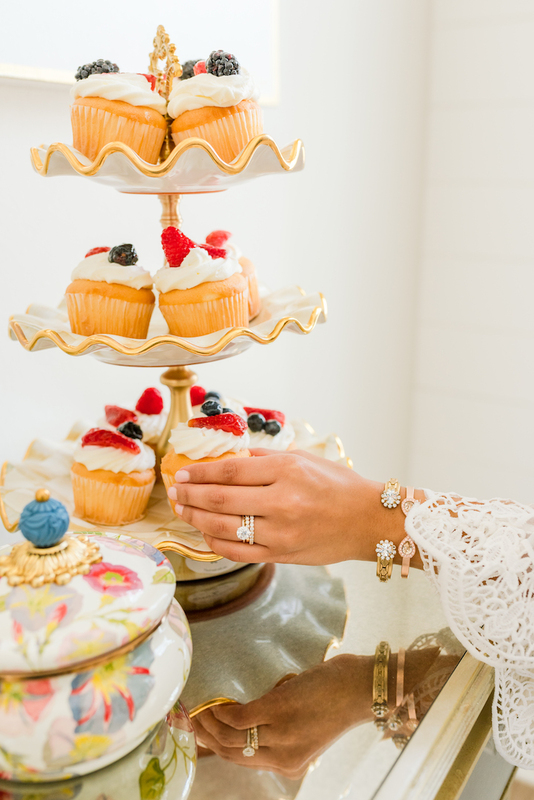 I’m sure you noticed that I incorporated a few Parchment Check dessert stands during my at-home bridal brunch. 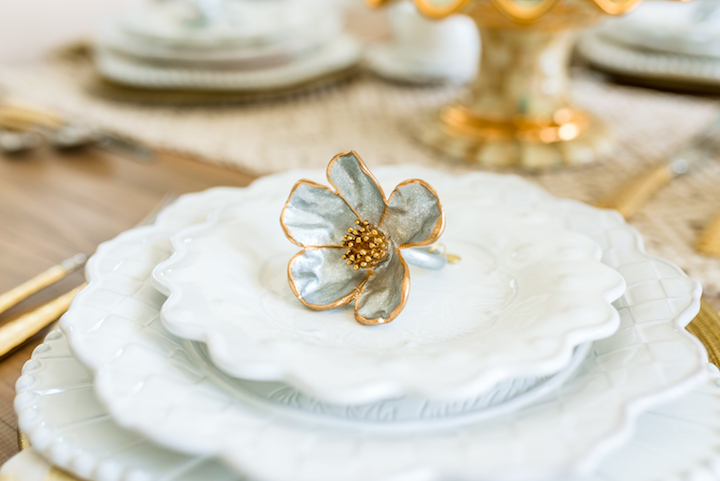 I can’t wait to style my Sweetbriar plates with my Morning Glory pieces for Easter. 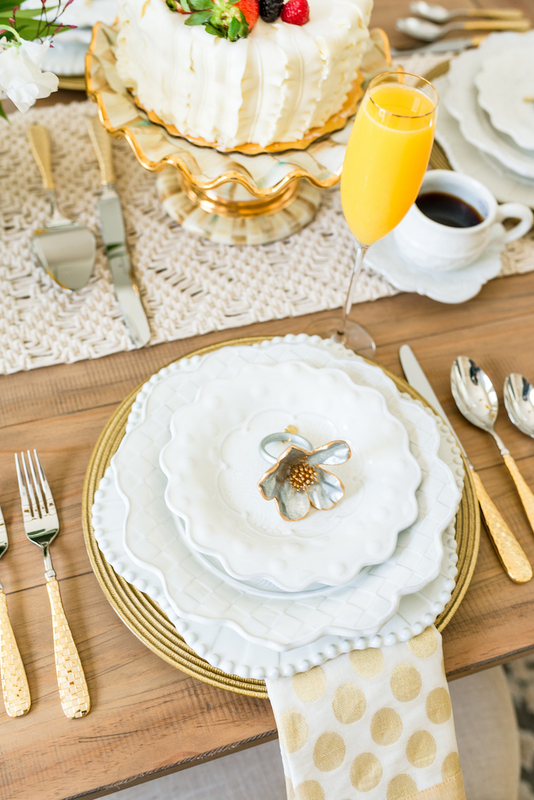 Also, you can use Sweetbriar set as your everyday dinnerware since the pieces are microwave, oven and dishwasher safe or save the collection for special occasions since it has such a unique look with all of the different textures.